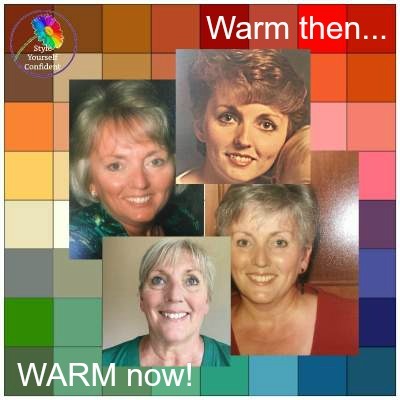 To kick off the Autumn/Fall season I'm featuring some of the fabulous photos that YOU have kindly contributed. 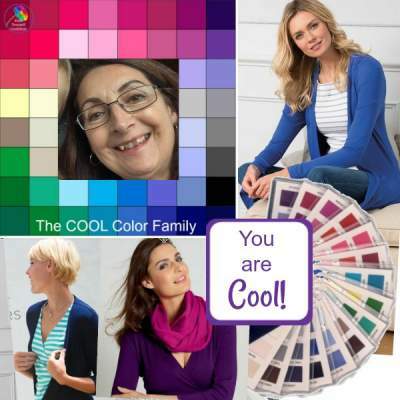 Thank you so much ladies - I do hope more of you will join in so I can feature more Color Families in future months. 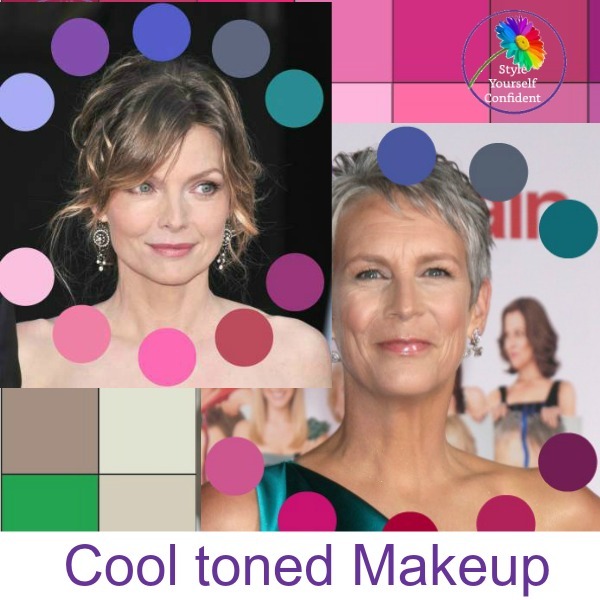 And featuring your Color Analysis too. 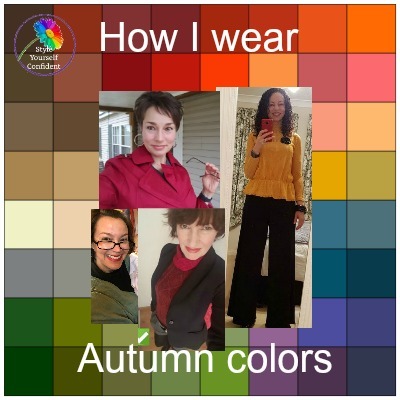 To give us all glorious visual inspiration there are photos from Christina, Donna, Laura and Amy showing how they wear their AUTUMN color palette. Featuring the photos that YOU have kindly contributed. 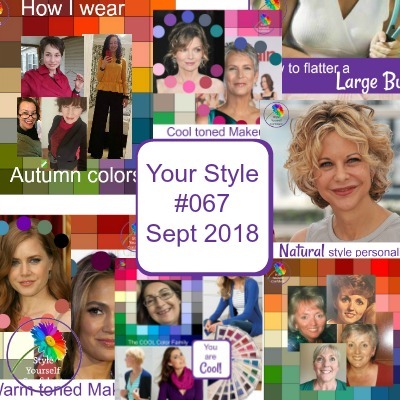 It's difficult for many women to imagine how a color swatch can be translated into your wardrobe. 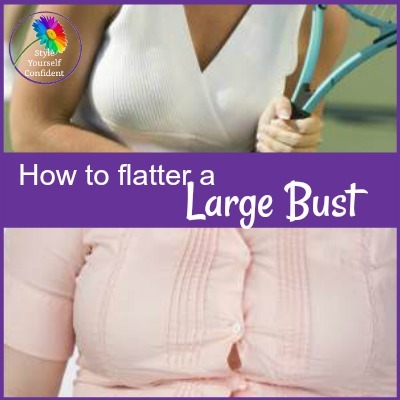 This is fabulous inspiration! I love doing Color Analysis within a family and seeing how siblings can look so different. Not always of course but today I'm showing you sisters who, despite being very close, their coloring is completely opposite. Kathryn is WARM and Susan is COOL. All physical features are decided by a random mix-and-match of the genes from 4 sets of grandparents, so despite having the same parents one person's genes can be immensely different from the other.